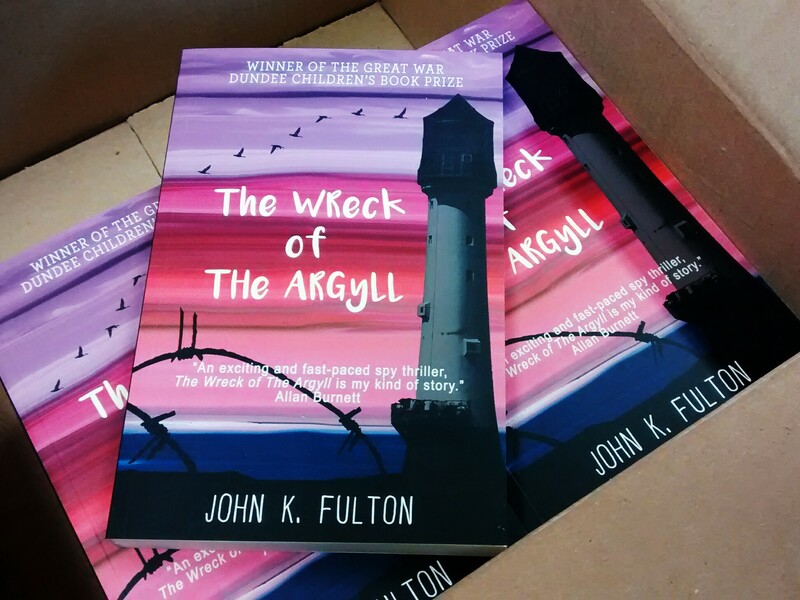 Today was a very exciting day – my box of author copies of The Wreck of the Argyll turned up from those lovely people at Cargo Publishing. The official release date isn’t until September 25th, over a month away, but it’s one of the perks of being the author that you get the books a little bit ahead of time. My partner Sandra has a copy, of course, because I couldn’t have done it without her; not just for the support and time she’s given me to sequester myself away at the keyboard and bash out stories, but also for the feedback and review comments she’s given me on each and every first draft I’ve produced of every book I’ve written. (There’s a whole book that I’ve completed that no-one except Sandra has read.) I’ve given a copy to Colin Jones, my friend and colleague who’s been following a similar path in trying to get children’s fiction published – he’s provided a lot of encouragement and commiseration over the past few years, so I hope he takes this book as a good omen for his own aspirations. But of course I’ll keep a copy for myself. Even if I never get anything else published ever again (and there are no guarantees), I can say that I’ve done it. I’ve got a book published, and I’ve held it in my hands. Congratulations — I’ve ordered my copy! Thanks Michael! It’s technically not out for another month or so, but a few copies escaped into the wild last week, so you might get it sooner rather than later.